Captivating singer Jackie Bornstein enchants audiences with her emotive delivery and beautiful tone. Having a passion for great jazz guitar and voice partnerships since childhood, Jackie is pleased to be sharing the stage with three of Australia’s finest guitarists: James Sherlock, Stephen Magnusson and Nathan Slater. Jackie leads her colleagues in a mixture of swing, bossa nova, neuvo cancion, pop, chanson and original songs. Featuring composers from across the globe including George Gershwin, Kurt Weill, Jimmy van Heusen, Violetta Para, Sting, Jackie Bornstein and more. The program highlights Jackie’s rich voice and versatility and the distinctive sounds of each esteemed guitarist. Known for her rich tones and ability to get to the heart of a tune, Jackie performs regularly at Melbourne's top jazz venues. She secured sold-out shows at her 2018 Melbourne Recital Centre debut and at the 2018 and 2017 Melbourne International Jazz Festival. Jackie has developed her own style utilizing varied vocal timbres and enjoys exploring a broad repertoire that sees her singing in French, Portuguese, Spanish and English. Stephen is one of Australia’s most in-demand and distinct musicians with incredible technique and an astoundingly beautiful tone. A multi-award winner he has worked with artists including Charlie Haden, Meshell Ndegeocello, Ricki Lee Jones, Sinead O’Connor, Gurrumul Yunupingu, Paul Grabowsky, Vince Jones and Katie Noonan. 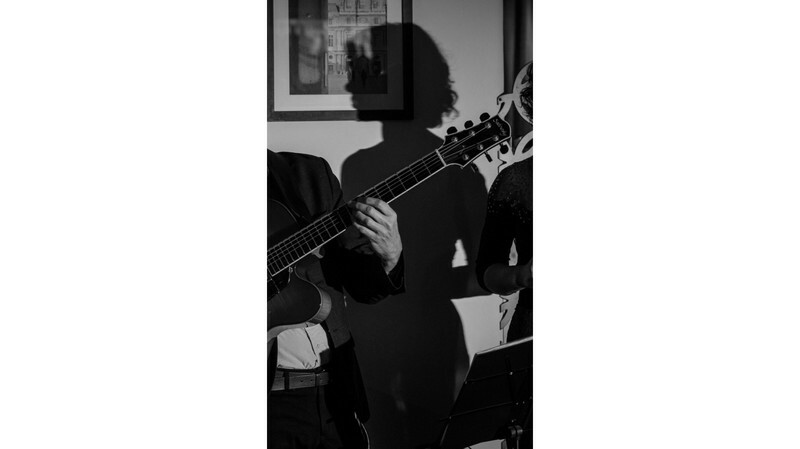 Nathan is a virtuosic and origional guitar player who draws upon the traditions of jazz, flamenco, tango, and Brazilian music. He has performed/recorded with such artists as La Rumba, One night in Buenos Aires, Ross James Irwin, and Australian tango Champion dancers Fabio Roble and Ana Andre.